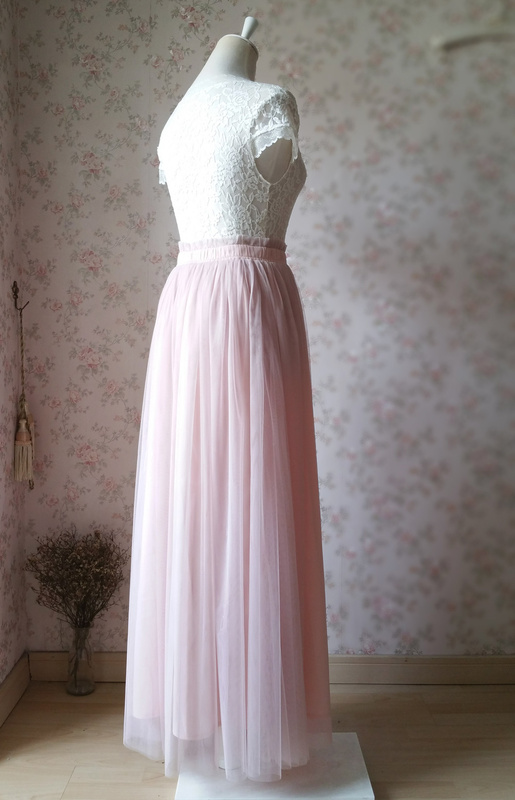 Handmade TULLE MAXI SKIRT CUSTOM WEDDING BRIDESMAIDS SKIRTS,Plus size Tutu Skirts,Maxi Tulle Skirt, Blush Wedding Skirt, Blush bridesmaid skirts. 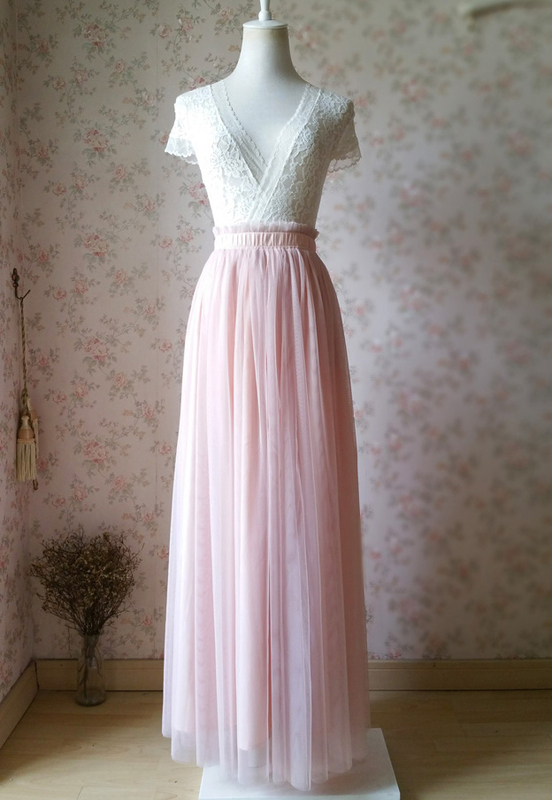 * This maxi dress is made from 2 layers top quality Tulle and one piece of imitating soft satin lining. * Top quality fine tulle, which is straight, soft and light. 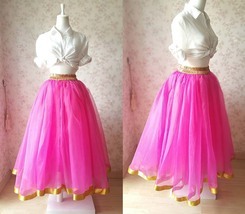 * Three pink colors as the model worn are all available. Please add the color name in the note while you place order. If you need to check more colors, please check the last picture which is full colors. 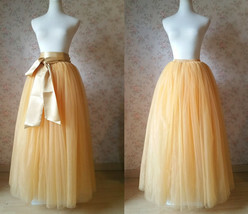 * This tulle skirt is special fitting as wedding bridesmaid outift. If you need to custom made for your girls, please let us know and we would make a perfect plan for your bridesmaids. * Lace top in the picture is available, please check the below lisitng. 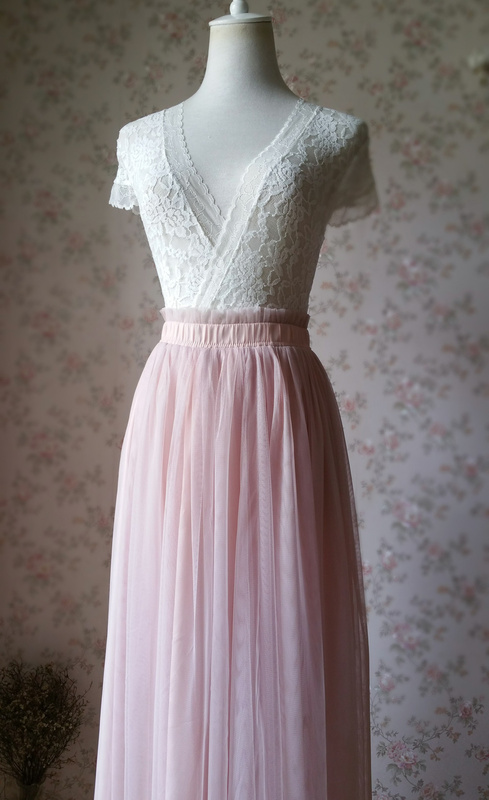 And we also offer many lace blouses, dont's miss it:) https://www.bonanza.com/listings/Ivory-White-LACE-TOPS-Women-Cap-Sleeve-Floral-Lace-Tops-Plus-Size-Lace-Tops/469077876 * We offer 5 skirt lengths, Please add the skirt length in the note for your order. Regular Maxi: 42 in Waist to Hem Petite Maxi: 38 in Waist to Hem Cocktail: 22 in Waist to Hem Midi: 28 in Waist to Hem Tall Maxi: 46 in Waist to Hem * Elastic waist fit all the figures, the waist band is very soft and easy to wear. We also offer another elastic waist band version. For your choice. * Fixed waist band avilable. Please just check the pictures. Your waist measurements (what inches) are needed, please add this important information in the note while you place order. Any problem for measurements, just let us know. We'd love to help. * Many colors for choice, Please check the below listing, and PLEASE ADD THE COLOR NUMBER IN THE NOTE WHILE YOU PLACE YOUR ORDER. 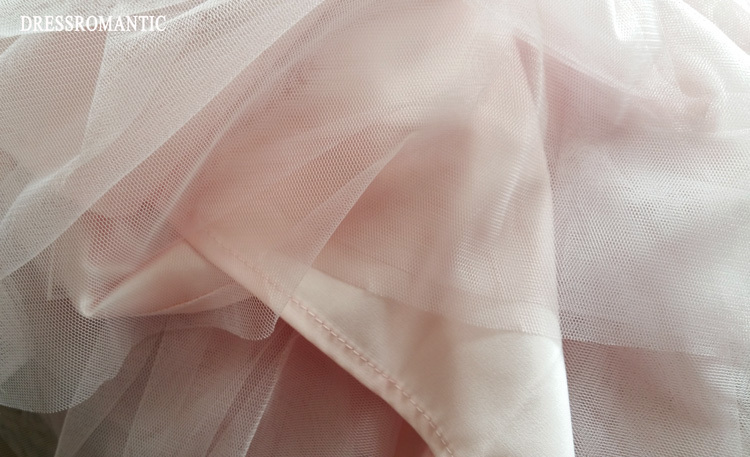 https://www.bonanza.com/listings/Tulle-TUTU-Color-chart-Catelogue-Color-Demo-from-Dressromantic/539895102 * Big sweep is flattering and flowing * Our processing time is around 7 days, and the standard shipping time is around 10 days. For DHL expedited, this shipping time is around 4-6 days. If you need it urgently, please let us know. We can make a rush order for you. * Designed and handmade by honest family clothing studio. Please make your mind easy for purchase in Dressromantic. ***************************************************************************************************** How to place your order 1: Choose the waist size and length in the drop-down menu, click on "Add to cart" then 2: choose "check out" then 3: fill out your personal information, like shipping address and contact details. Last 4: We only accept 'PAYPAL" as our payment method. So select "PAYPAL" and add notes of your size and color choice. Any problem on the payment process, please let us know. We're very glad to help.